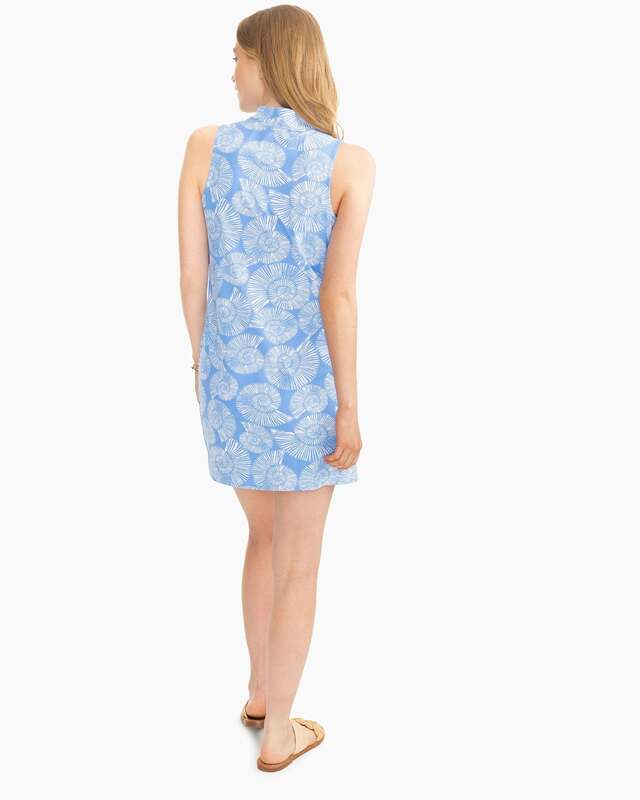 At last, a pretty southern dress designed for long days in the sun! 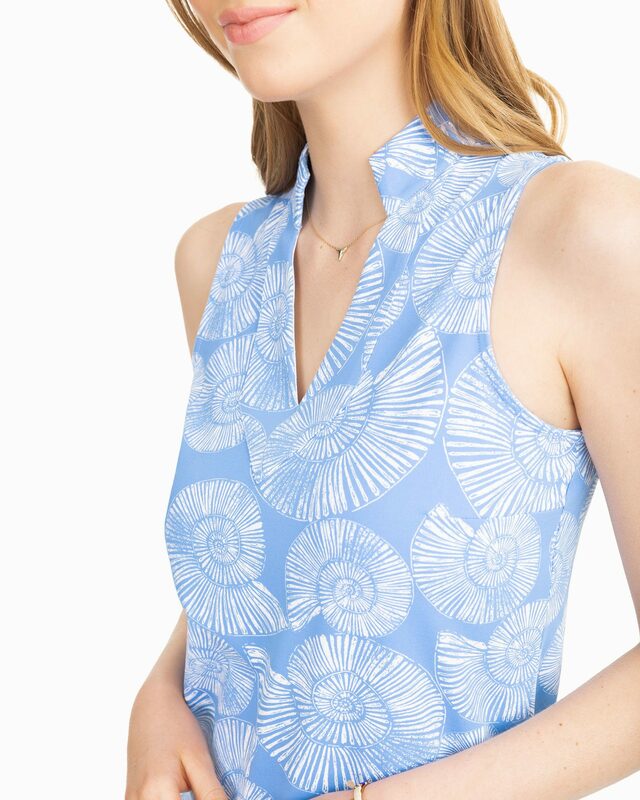 Our nautilus print, sleeveless performance dress features moisture wicking, quick dry fabric and UPF 50+ protection to keep you cool and fresh. Bust: Measure under your arms at the fullest part of your chest. Keep the tape parallel to the floor. Hip: Stand with your heels together and measure the fullest part of your hip. Approximately 8" below your waistline.